In what might be the most perfect collaboration of all time, Modcloth has teamed up with Sanrio on a Hello Kitty capsule collection. 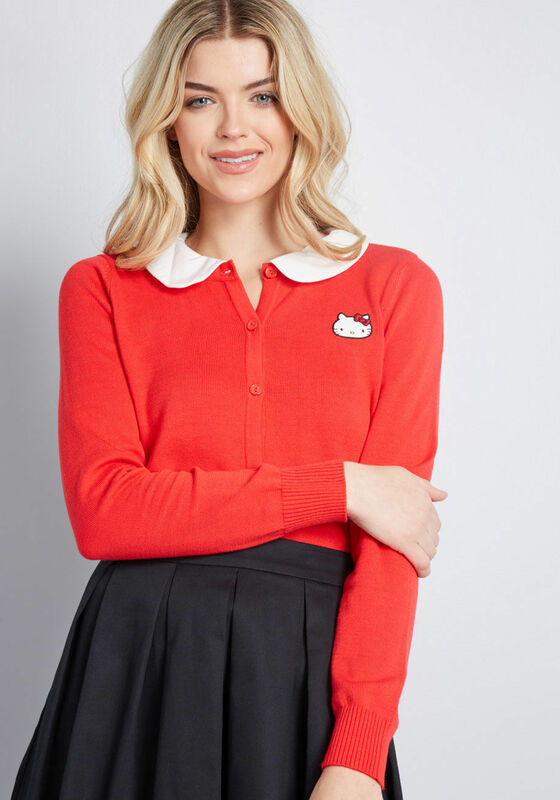 The launch falls on November 1st, Hello Kitty’s birthday, because what could be a sweeter gift than cute Modcloth clothes adorned with the beloved humanoid kitten’s face? 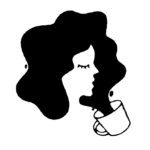 The collection includes dresses, separates, loungewear, shoes, and jewelry for total of 23 pieces, ranging from sizes XXS to 4X, and starting at $12 up to $120. Highlights of the collection include a red cardigan with a Peter Pan collar embroidered with Hello Kitty’s face, an earrings set, and black leggings featuring the iconic red bow and whiskers that will no doubt help you get through your barre class. The various styles ensure there’s something for everyone in this collection. 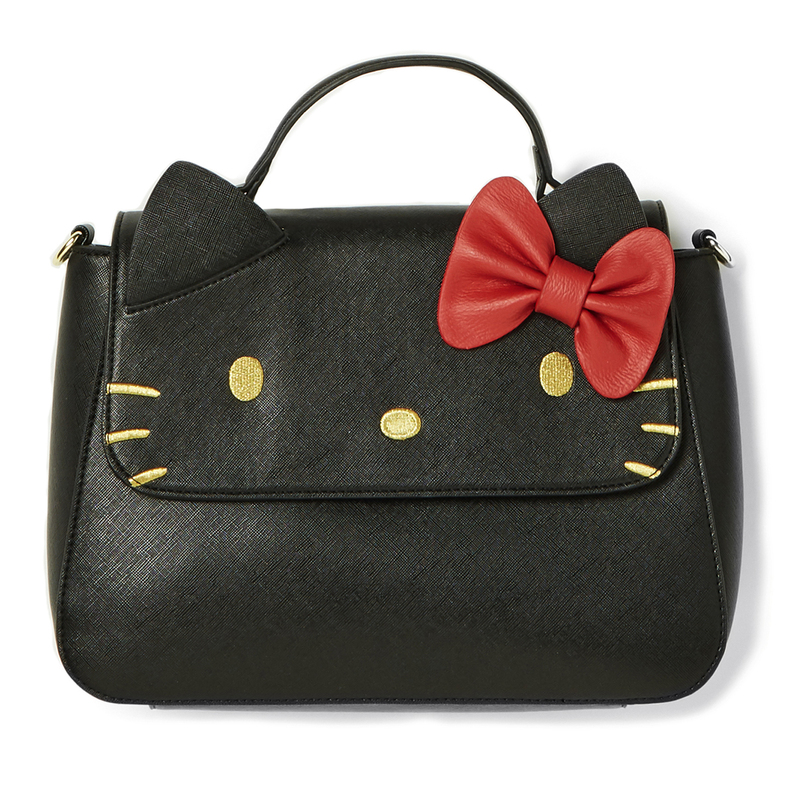 It’s a true dream for both Hello Kitty fans and Modcloth shoppers. If you’re in Los Angeles and want to shop the collection in person, there will be a pop-up shop at Sanrio’s flagship store at Japanese Village Plaza in Little Tokyo from November 2nd to November 4th. 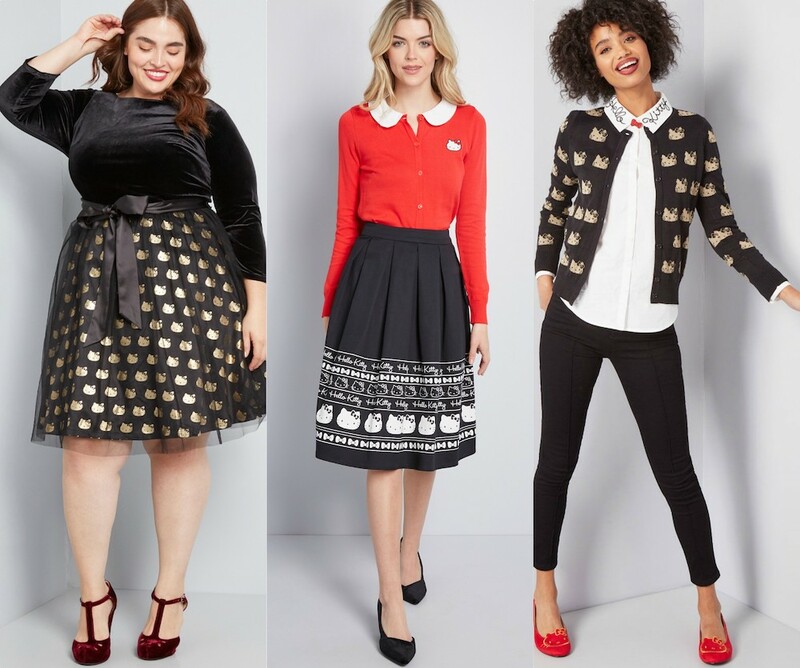 If not, you can head over to Modcloth’s website and shop the collection now. Below, our faves from the collab. Looks like the perfect workwear, if you ask us. How sweet is the Peter Pan collar? 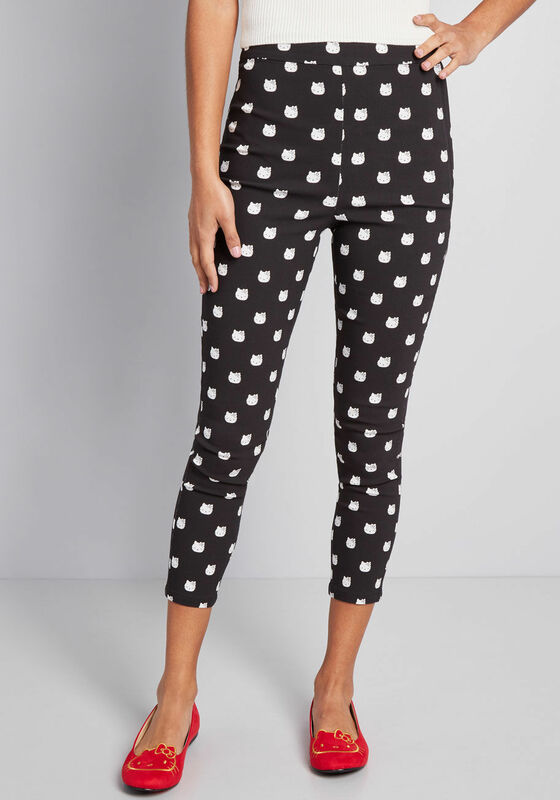 Obsessed with these printed capri pants. Our new favorite everyday purse. This dress is getting us excited for holiday parties. Shop the rest of the collection at Modcloth.